The trailer (and title) we’ve been waiting for is finally here! Episode 9 is now STAR WARS: THE RISE OF SKYWALKER. 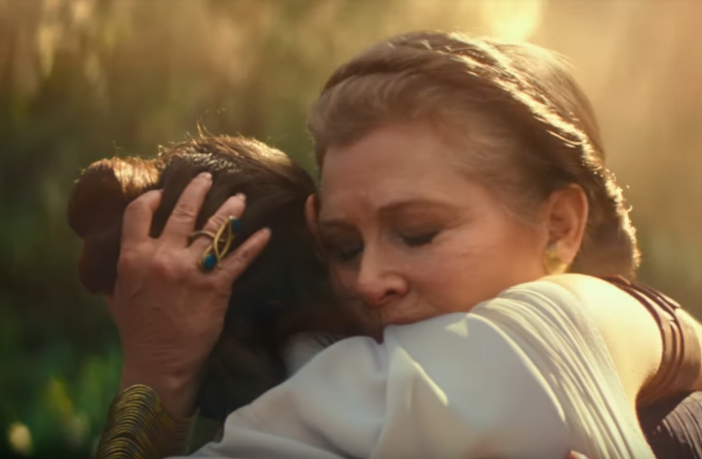 After a long wait, the STAR WARS: THE RISE OF SKYWALKER trailer has been revealed at the Star Wars Celebration today. Although just a teaser, it’s already packed with hints about the closing chapter in this saga. So… did you hear Emperor Palpatine, too? Or was that just us? There’s a lot to unpack here. Notably, Lando Calrissian is back in a big way – piloting the Millennium Falcon! We also catch an emotional glimpse of Leia, along with a voiceover teasing the reemergence of old characters. There’s lots of Rey, with a bit of Kylo Ren, BB-8, and the rest of the gang. What can you gather from the trailer? Let us know in the comments! Episode IX will take theaters by storm on December 20, 2019.